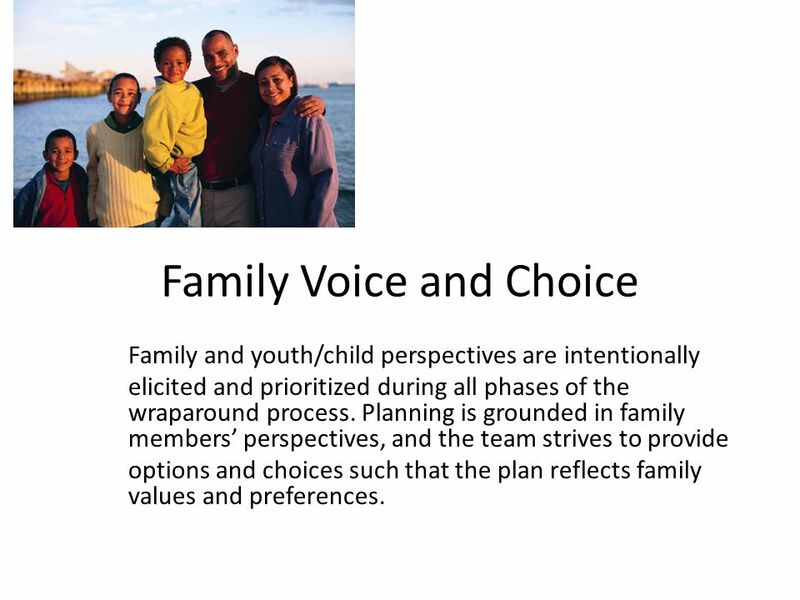 2 Family Voice and Choice Family and youth/child perspectives are intentionally elicited and prioritized during all phases of the wraparound process. 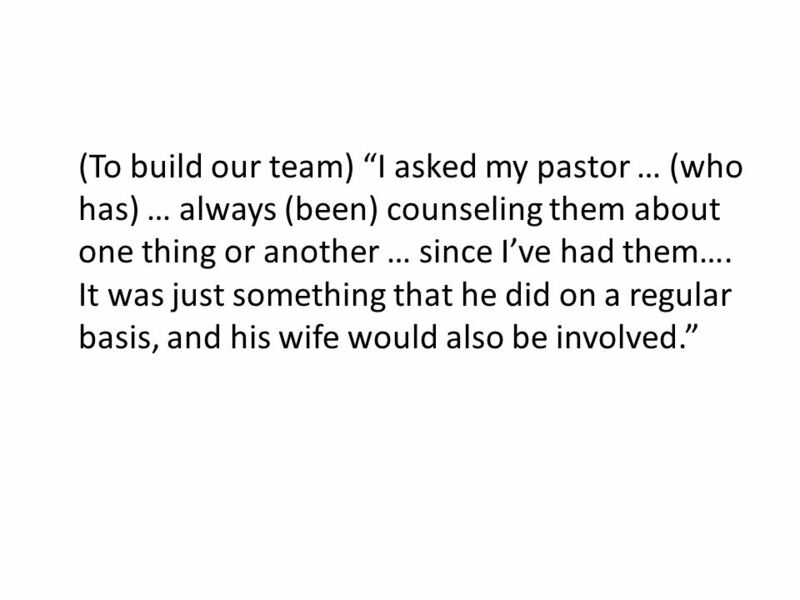 Planning is grounded in family members’ perspectives, and the team strives to provide options and choices such that the plan reflects family values and preferences. 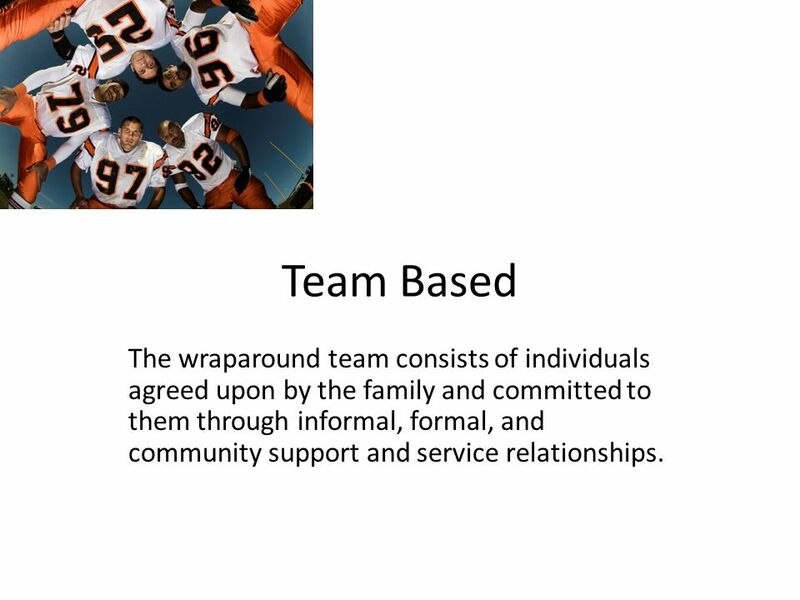 5 Team Based The wraparound team consists of individuals agreed upon by the family and committed to them through informal, formal, and community support and service relationships. 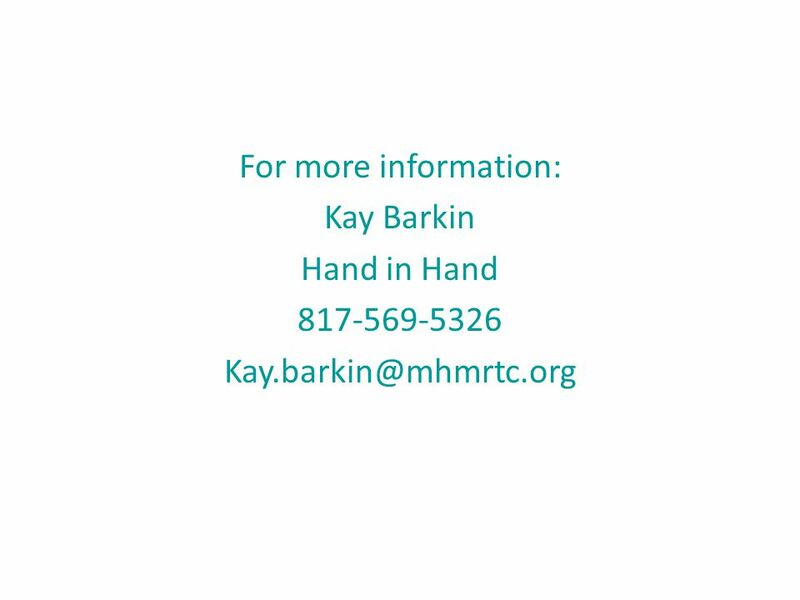 7 Natural Supports The team actively seeks out and encourages the full participation of team members drawn from family members’ networks of interpersonal and community relationships. 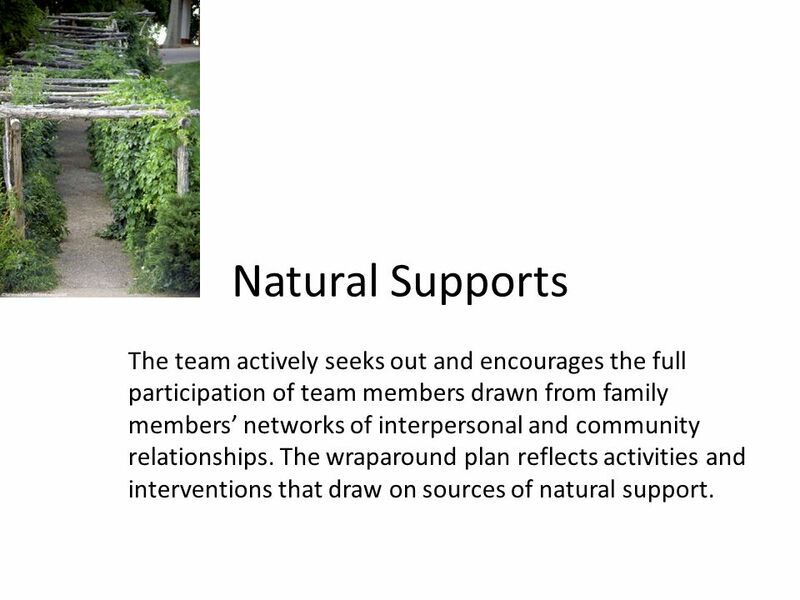 The wraparound plan reflects activities and interventions that draw on sources of natural support. 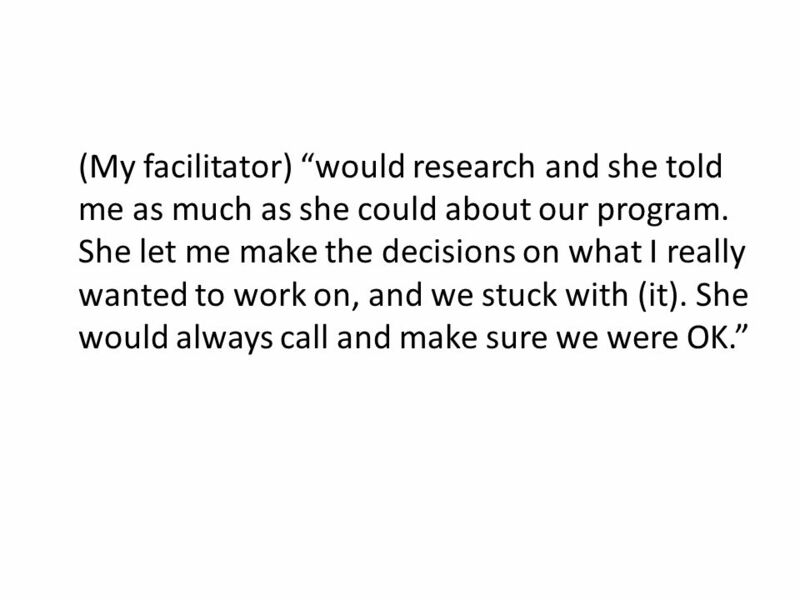 9 Collaboration Team members work cooperatively and share responsibility for developing, implementing, monitoring, and evaluating a single wraparound plan. 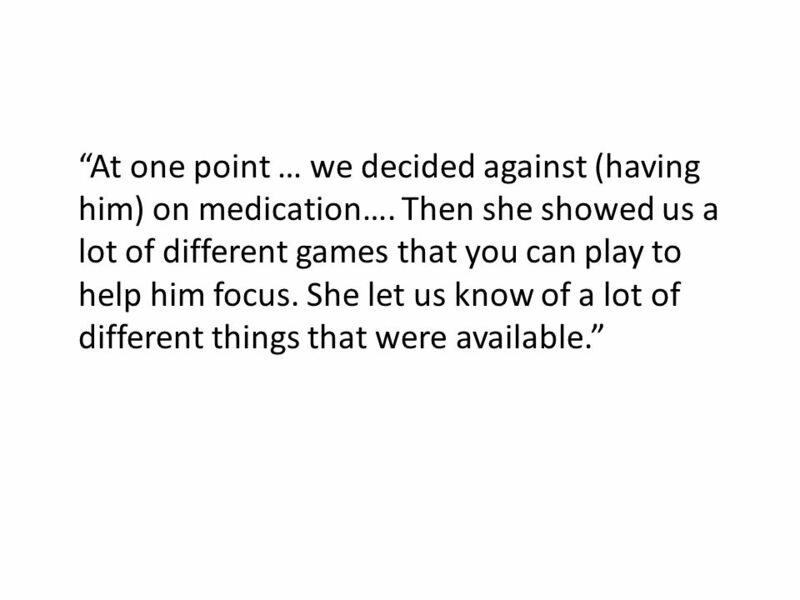 The plan reflects a blending of team members’ perspectives, mandates, and resources. 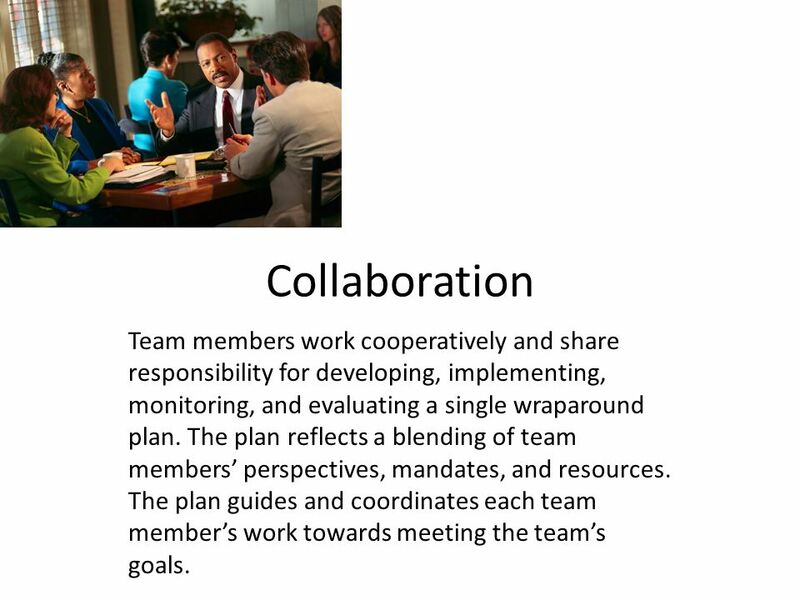 The plan guides and coordinates each team member’s work towards meeting the team’s goals. 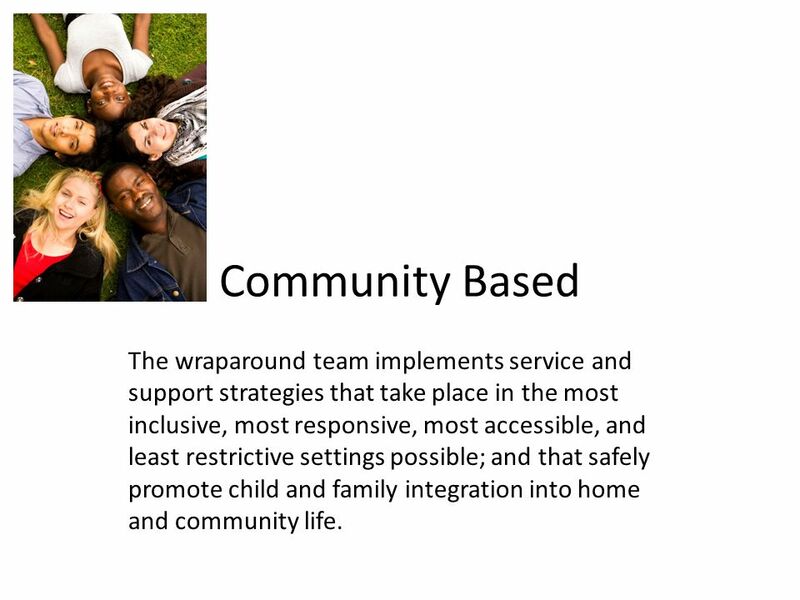 11 Community Based The wraparound team implements service and support strategies that take place in the most inclusive, most responsive, most accessible, and least restrictive settings possible; and that safely promote child and family integration into home and community life. 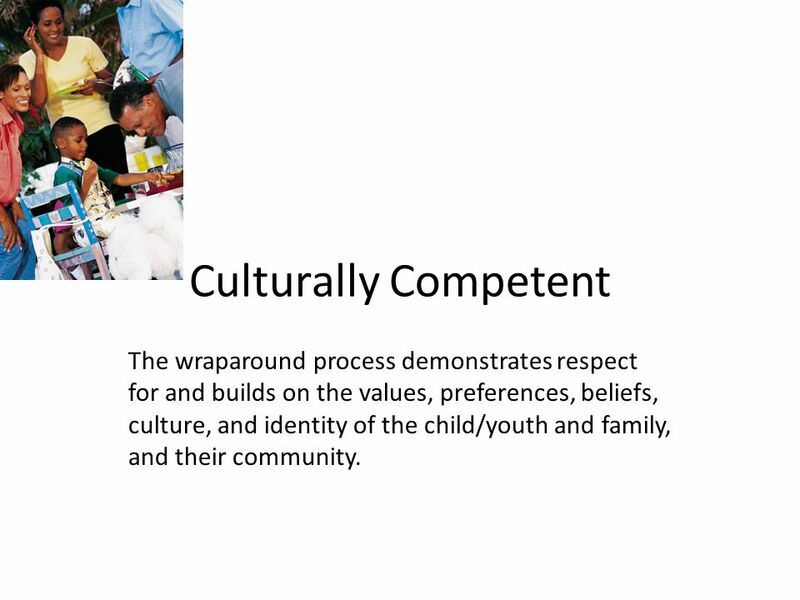 13 Culturally Competent The wraparound process demonstrates respect for and builds on the values, preferences, beliefs, culture, and identity of the child/youth and family, and their community. 14 “All families don’t need the same thing. You know, it’s like eating. 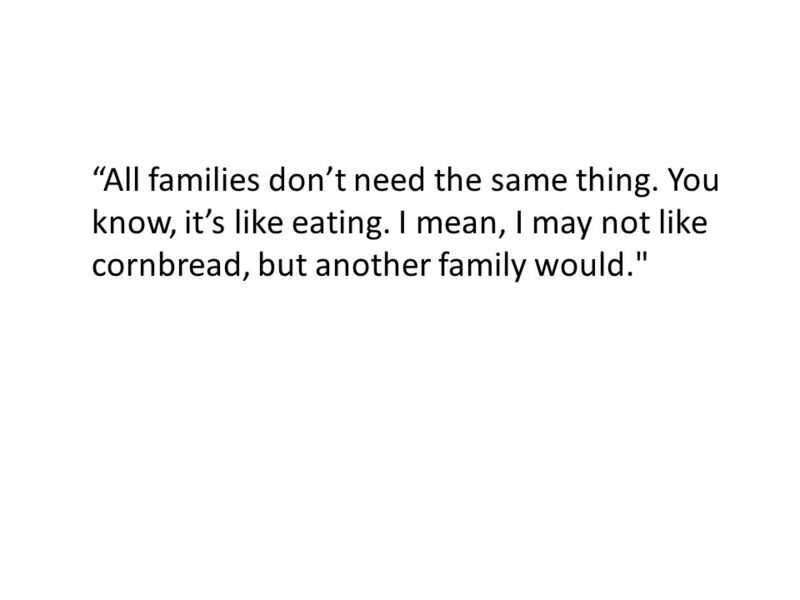 I mean, I may not like cornbread, but another family would." 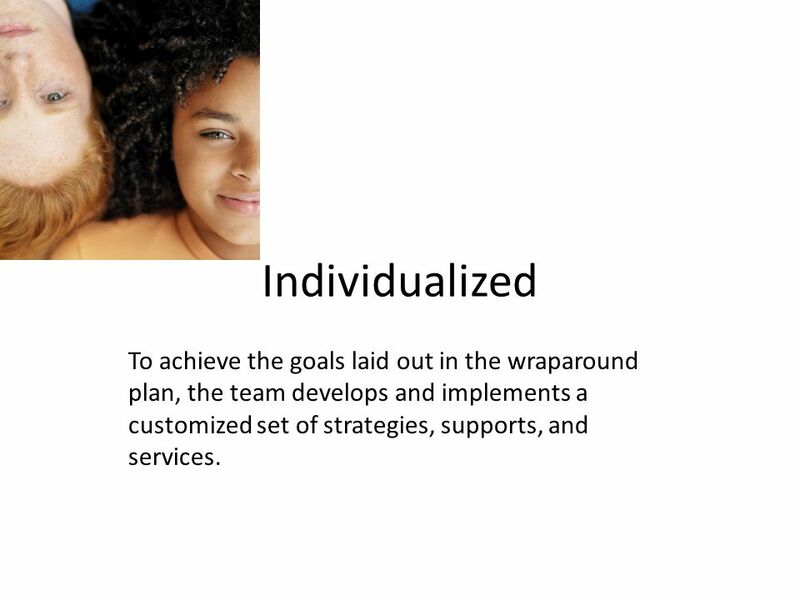 15 Individualized To achieve the goals laid out in the wraparound plan, the team develops and implements a customized set of strategies, supports, and services. 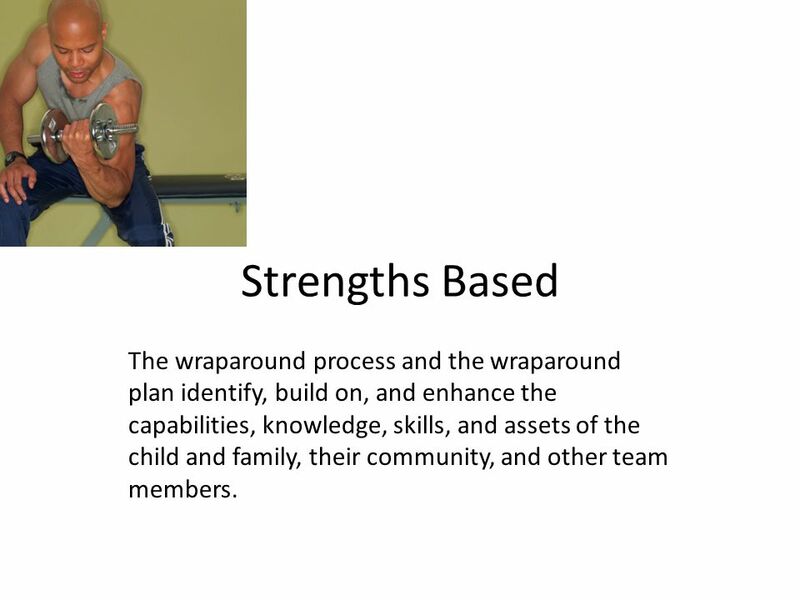 17 Strengths Based The wraparound process and the wraparound plan identify, build on, and enhance the capabilities, knowledge, skills, and assets of the child and family, their community, and other team members. 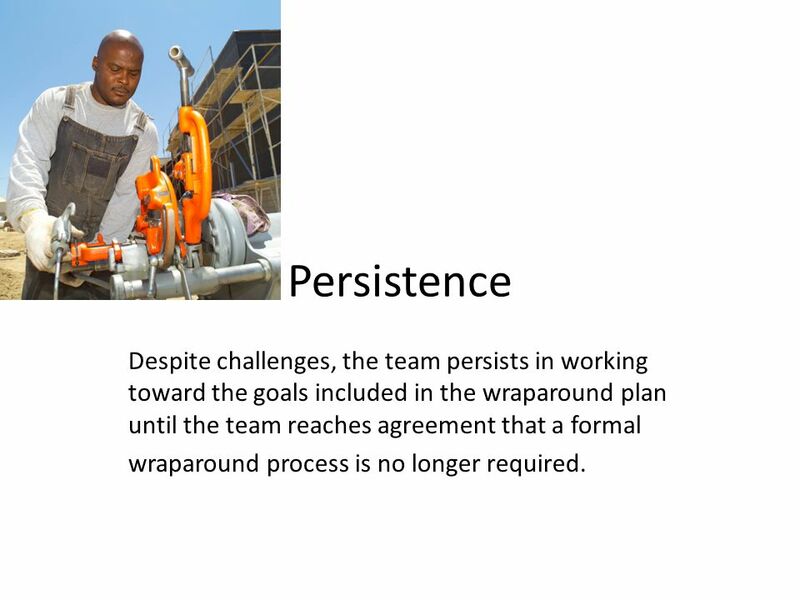 19 Persistence Despite challenges, the team persists in working toward the goals included in the wraparound plan until the team reaches agreement that a formal wraparound process is no longer required. 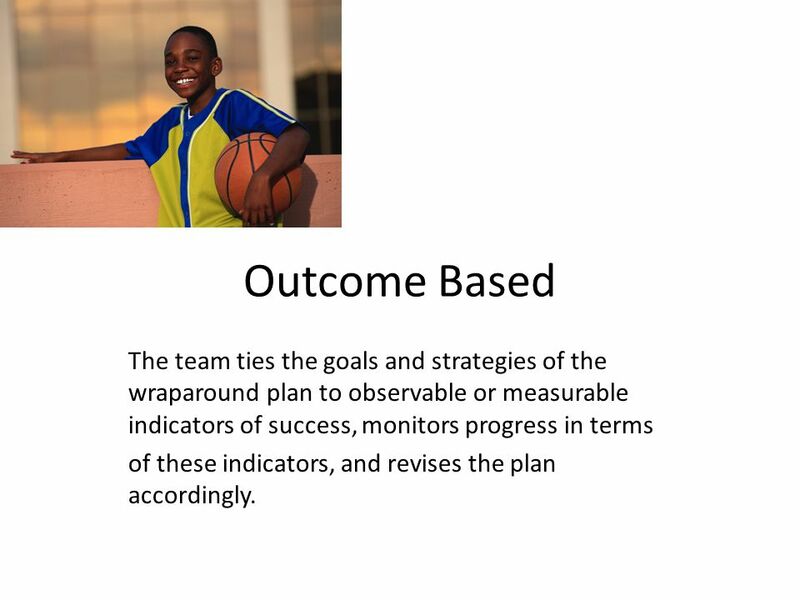 21 Outcome Based The team ties the goals and strategies of the wraparound plan to observable or measurable indicators of success, monitors progress in terms of these indicators, and revises the plan accordingly. 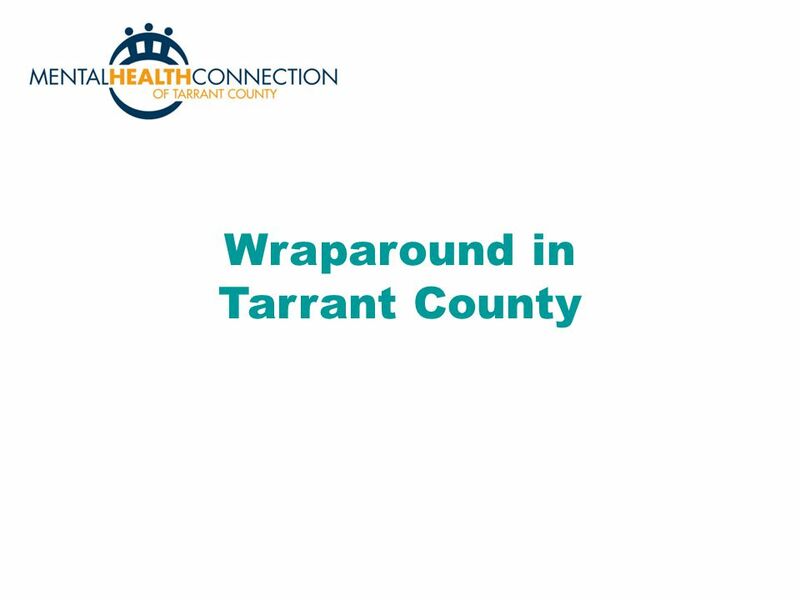 Download ppt "Wraparound in Tarrant County. 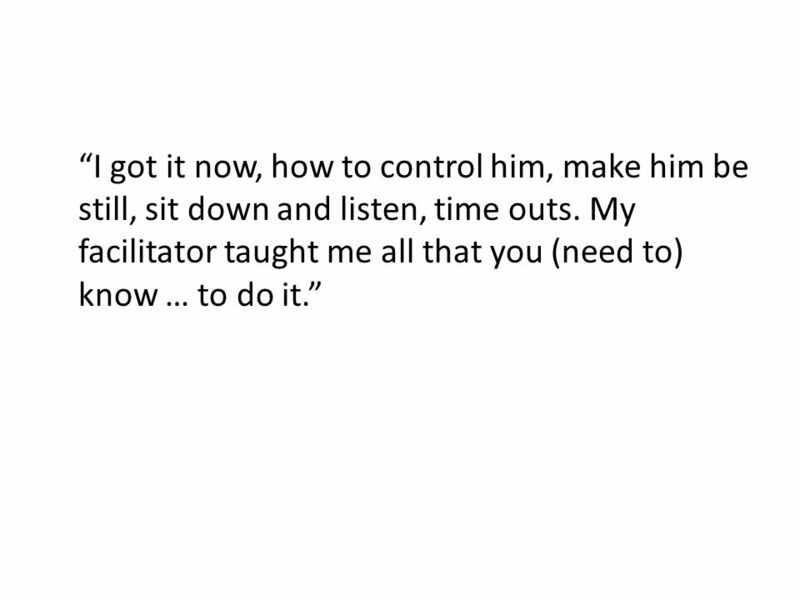 Family Voice and Choice Family and youth/child perspectives are intentionally elicited and prioritized during all phases." Oak Tree Day Nursery, Amington Branch Heather. The Nursery set up…  Three rooms, equipped for specific age group  Toys cleaned regularly and thrown. Workshop 4.  Welcome  Questions/ queries  Outline of the day’s programme. 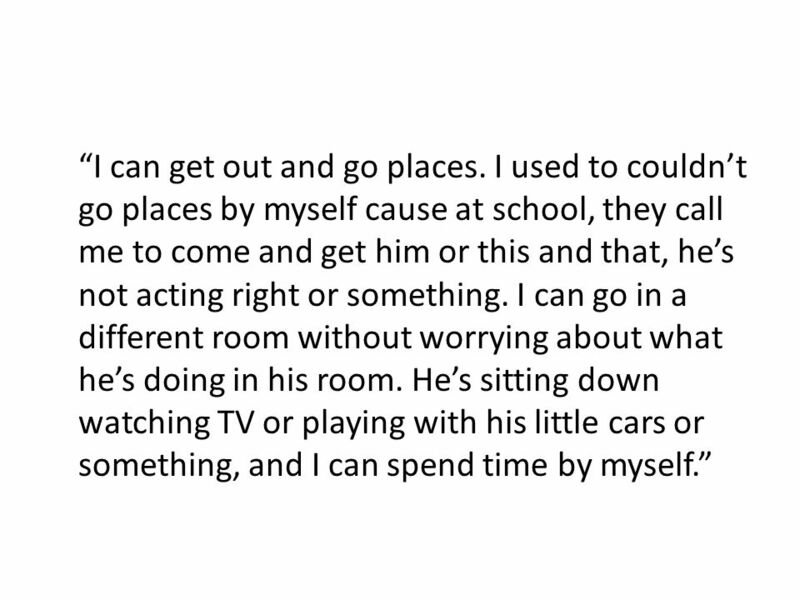 What does the Children’s Rights Report 2013 say? Child-friendly version National Children’s Commissioner. Supporting Positive Behaviour in Alberta Schools Dwaine M Souveny Central Alberta Regional Consortium D.M. Souveny Understanding Student Behaviour. The Power of Assets 40 Developmental Assets. 40 Developmental Assets Represent everyday wisdom about positive experiences and characteristics for young. Nurturing. 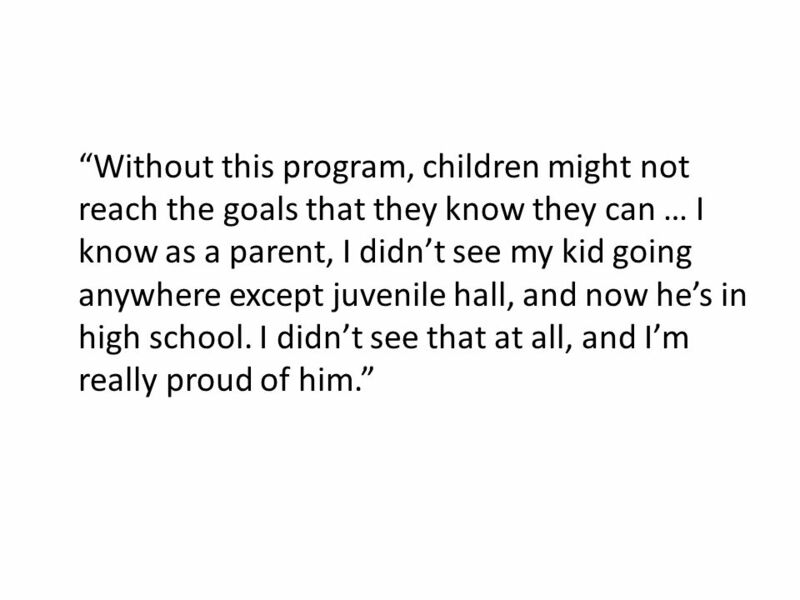 Understand the stages of youth development. 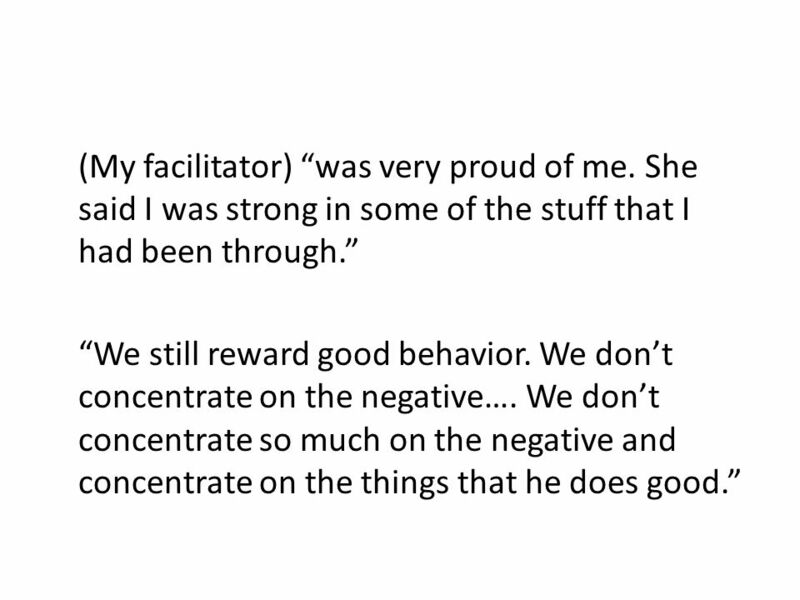 Learn how adults can help young people gain confidence through positive reinforcement. Understand. 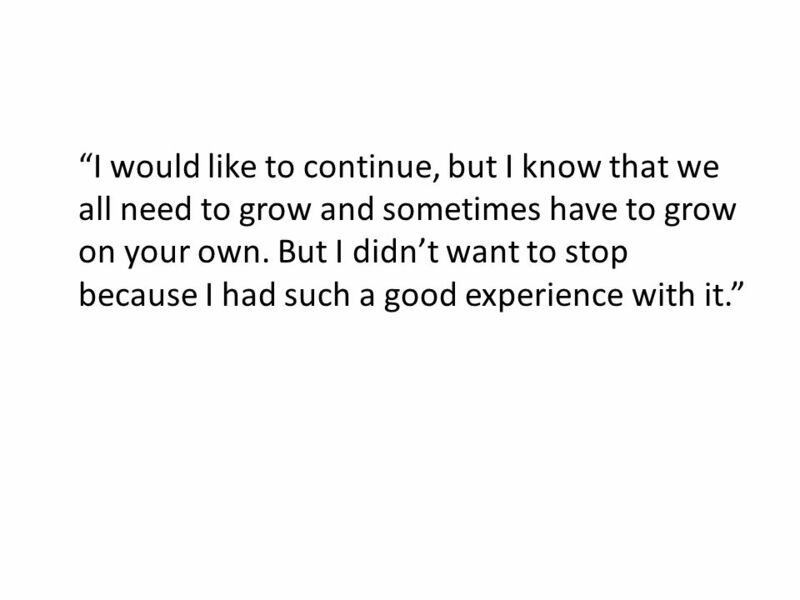 Elementary Guidance: A Good Way to Grow. 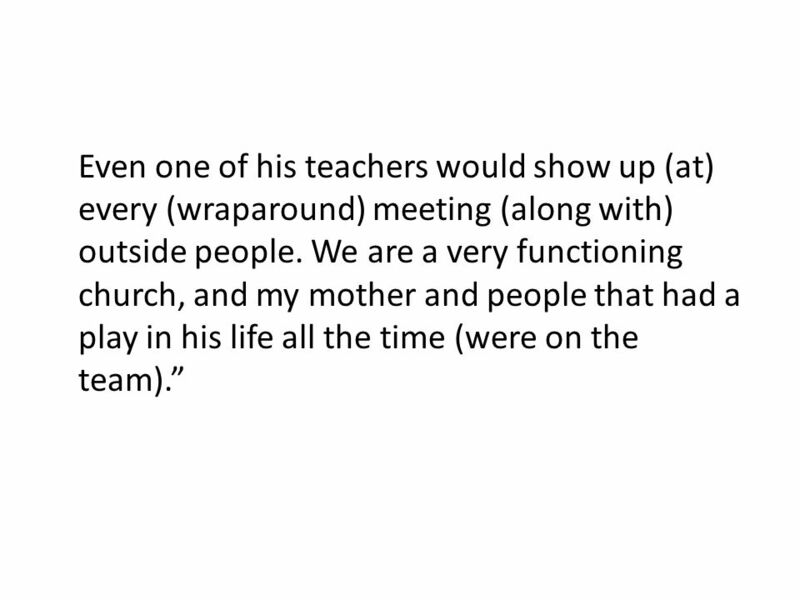 What Is Guidance Class? 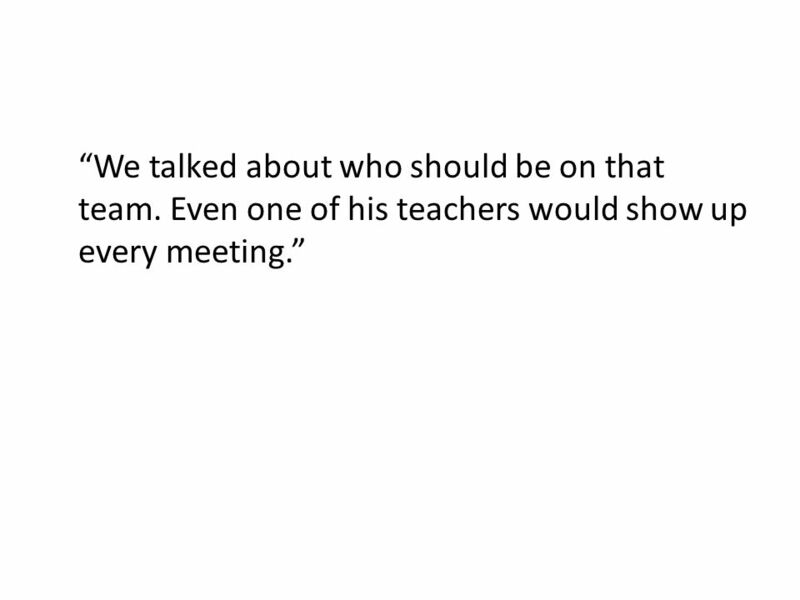 Students in 1 st -5 th grade in the Chippewa Falls Elementary Schools participate in.